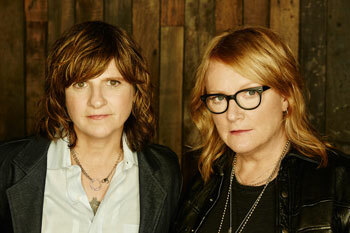 Amy Ray and Emily Saliers are Indigo Girls. Rolling Stone describes them as the “ideal duet partners. Their voices soar and swoop as one, alternately raucous and soothing. When they sing together, they radiate a sense of shared purpose that adds muscle to their lanky, deeply felt folk-tinged pop songs.” Together they write, arrange, record and perform music which over the course of twenty five years has become a vital part of the lives of their legion of devoted fans around the world, informing and rewarding them day to day.